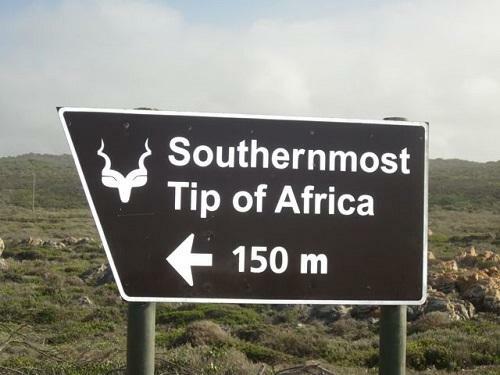 Cape Point is located about 1.2km east of Cape of Good Hope and is the most South Westerly corner of the African continent and the mythical meeting point of the Antalatic and Indian oceans. The scenic beauty of Cape Point is not its sole allure; it is also an international icon of great historical interest with many a visitor drawn to the area because of its rich maritime history. Named the ‘Cape of Storms’ by Bartolomeu Dias in 1488; the ‘Point’ was treated with respect by sailors for centuries. By day, it was a navigational landmark and by night, and in fog, it was a menace beset by violent storms and dangerous rocks that over the centuries littered shipwrecks around the coastline. 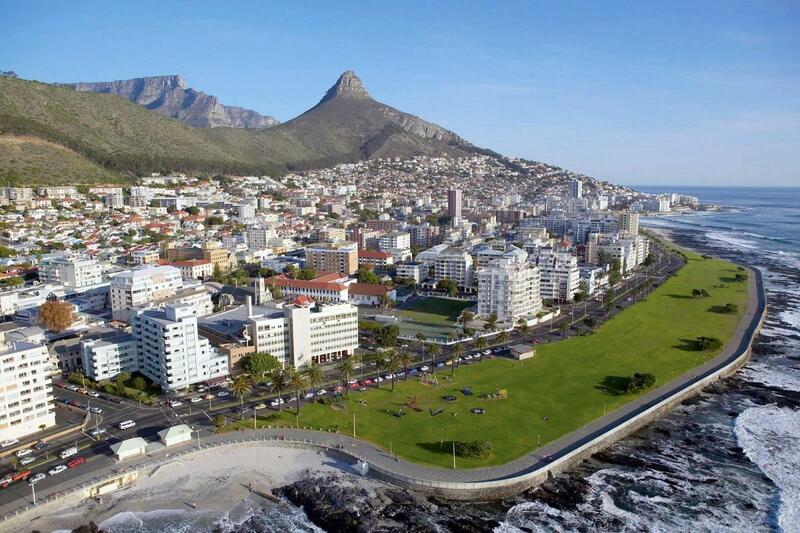 This interactive tour takes you along the beautiful Atlantic Seaboard feasting your eyes on rugged coastlines and other untainted geographic landmarks such as the Twelve apostles and the magnificent slopes of Lion's head. 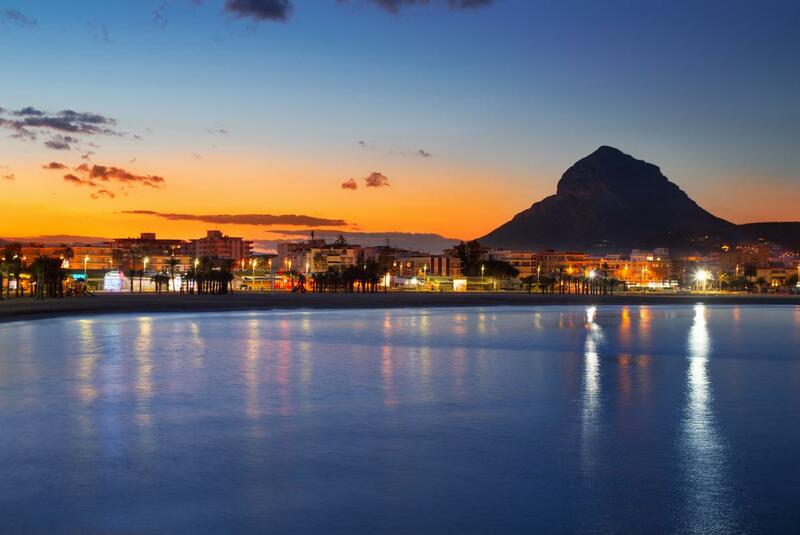 The Atlantic Seaboard also known as Cape Town’s ‘Riviera’, stretches from the Victoria & Alfred Waterfront on the north shore of Table Mountain all the way down the west side of the Cape peninsula to Hout Bay. The tour takes us through the residential suburb of Clifton with four bikini beaches ideal for sun bathing and home to some of the most expensive real estate in South Africa where a small bungalow on the beach can sell for up to R30 million. The tour proceeds to Camps Bay where we stop for a picture shoot of the Twelve Apostle mountain range. The tour continues through the town of Hout bay with its rural atmosphere where we visit a fishing harbor where an optional boat trip to seal island, island is offered. Thereafter the tour continues through the world famous Chapman's Peak Drive a 9 km route with 114 curves making it one of the most spectacular marine drives in the world, with its seemingly endless twists and turns this is truly a photographers dream. The secret behind the Garden Route is that it combines the fun of a classic bucket-and-spade holiday with unforgettable African adventures. You could go on an elephant-back ride, take a forest canopy tour, bungee jump or visit a monkey or bird sanctuary. Dolphins are often seen offshore - as are whales in season - and for even more wildlife thrills, round off your beach holiday with an authentic Big 5 safari in one of the conveniently close – and also malaria-free – reserves in neighbouring Eastern Cape Province. While outdoor sports and activities take centre stage on a Garden Route holiday (don't forget that several of the country's best golf courses are found here) fine food is always close at hand. Indulge in fresh-from-the-boat seafood at the ever-popular Knysna Waterfront or at a restaurant overlooking the beach in neighbouring Plettenberg Bay. 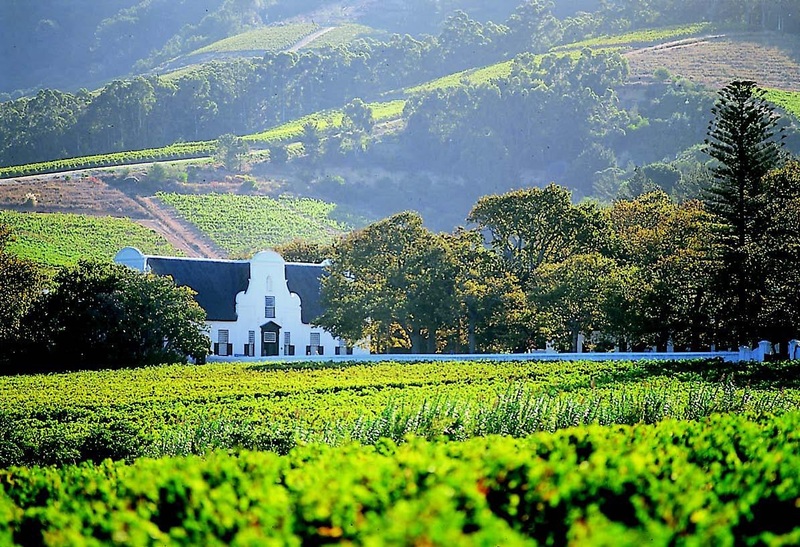 The Cape Winelands are a mere 45-minute drive from Cape Town where splendid mountains form a dramatic backdrop to lush vineyards and gabled Cape Dutch homesteads steeped in history. Experience the hospitality and beauty of Stellenbosch, Paarl, Franschhoek and a drive through the small town of Pniel. The excellent wines produced in this area are world-renowned. Join the winemaker on a tour of his cellar where he explains the process of our wines from the vine to the bottle and then you able to have the pleasure of tasting our wines and cheese. Stellenbosch, the oldest town in the country after Cape Town, is undoubtedly one of the most scenic and historically-preserved towns in southern Africa. We will do a minimum of 4 wine tastings at one farm within Stellenbosch and you will have some time to walk in the town of Stellenbosch. Franschhoek is well known for its excellent restaurants, top accommodation establishments, splendid mountains and openhearted hospitality. We will do a minimum of 4 wine tastings at one farm within Franschhoek and you will have some time to walk in the town of Franschhoek. Paarl is synonymous with the Afrikaans monument built on Paarl rock which gives recognition to the origins of the Afrikaans language. We will do a minimum of 4 wine tastings at one farm within Paarl and we will just do a drive through town. Highlights Wine tasting on 2 Wine Estate and a Cheese tasting. an opportunity of a picture shoot and a spectacular view of False Bay lying below. The journey continues through the beautiful green, gold and brown citrus orchards of the overberg, further on at a Farm stall off the N2 we stop for some refreshments, therafter our trip takes us through the small town of Caledon a town established in the 18th century to cater for travellers seeking relief and healing at the near by hot springs over the the past three centuries. In Bredasdorp we visit the Shipwreck museum home to striking visual displays and a fascinating collection of shipwreck artifacts and a treasure house of figureheads and lifeboats, porcelain, cannons, anchors, old bottles and coins from a number of European countries. Before the Suez Canal was constructed a trade route between Western Europe and the East was established round the tip of Africa along the coastline of Cape Agulhas this part of the route proved to be treacherous for ships passing by resulting in it being named the graveyard of ships. In 1840 international pressure, especially from Eastern Cities and also from London resulted in the decision to establish a lighthouse at the foot of Africa which was later known as the Cape Agulhas light house. The light house which was styled on the famous Pharaohs light house of Alexander in Egypt, was initially powered by a candle- fueled from the fat of fat-tailed sheep of the area. In 1849 the candle powered light house shone for the first time. Today the beam has a range of thirty nautical miles and an intensity of 7500 000 candlepower. The light house is about one kilometer from the southernmost tip of Africa. Cape Agulhas is a must see as according to the Hydrograhic Society this is where the Indian and Atlantic oceans meet which is the most southern tip of Africa. After experiencing the southernmost tip of Africa we return to Cape Town via the town of Hermanus known as the (whale capital) and drive through the scenic Clarence drive. If time permits we visit the endangered African penguins at Stony Point Highlights Sir lowry’s pass – Steenbras dam/ Orchard farm stall – stop for refreshment/ Botriver/ Caledon/ Bredasdorp visit shipwreck museum/ Cape Agulhas/ Struisbaai beach/ Hermanus/ Harold Porter Botanical gardens/ Betty’s Bay (Penguins)/ Gordon’s bay. We travel along the N2 towards Sir Lowry’s Pass where you can have a spectacular view of False Bay. The focal point or "heart" of the Cape Whale Coast is the popular seaside resort of Hermanus, just a mere 2 hour drive south of Cape Town. It's considered by many to be the "Best Land Based Whale Watching Spot In The World" where you can watch the Southern Right Whales basking in the waters of Hermanus. It is a beautiful town chosen by many living abroad as their second home. We will endeavor to let you see the giants from the sea, you will however, have the option at your cost to take a boat trip to see the whales at sea. We visit the endangered African penquins at Stoney Point and if time permits we visit the Harold Porter Botanical gardens before we return back to Cape Town via scenic Clarence drive. Highlights Cape Town Tours - Gordans bay, Scenic Clarence drive and Betty’s Bay, Harold Porter Botanical Garderns, Land Based whale watching , Boat trip (optional), Lunch at Hermanus, Sir Lowry’s pass. On this tour you will experience the diversity of Cape Town cultures. We visit the District six museum; where they will explain about District 6 a place demolished during the apartheid era. Thereafter we will do a walking tour of Langa. The District Six Museum recalls the history of a community that was forcibly removed in the apartheid era. In 1966 the National Party government declared District Six a “white group area” and moved thousands of residents (mostly coloured and black people) to the Cape Flats, where they had few facilities or means of making a living. Nowadays, former residents and their descendants are rebuilding their memories and cultural heritage. Langa is South Africa's oldest township established in the 1920’s the Urban Areas Act was passed forcing blacks to live in locations. The name Langa literally means “Sun” in Xhosa, the language which is mostly spoken amongst black South Africans in The Western Cape. The true highlight to this tour will be the hour long walk in the township where you will be able to interact with the incredibly strong people, who decided to take their future into their own hands. You will see how many people try to make a difference within their communities and that they contribute to a better future for the townships. You will also see how some people have lifted themselves from poverty and you will see how others are still trapped in poverty. You will also experience the sangomas, traditional healers; smileys , shop at local market; drink sorghum beer, visit a pre-school, while supporting one of the poorest areas of the Mother City. The Garden Route Tour, Nature’s Eden with exquisite scenery wherever you look, beaches, mountains, forests, game reserves, make this the perfect destination for vibrant nature lovers, adventure seekers, day excursionists and visitors wanting to discover and experience new places, cultures and people About the Garden Route The name given to the stretch of forested, coastal area between Mossel Bay and Port Elizabeth – is the brightly-coloured cherry on this southern slice of Africa. All along the Garden Route, spectacular mountain ranges dip and rise alongside a rugged coastline whose cliffs, estuaries, placid lakes and endless pristine sandy-white beaches are lapped by the Indian Ocean. Pressed between these forces of land and water are ancient forests, and secluded exotic seaside towns. The Garden Route is a paradise for nature-lovers and outdoor enthusiasts, this malaria-free region is also a long-time favourite for family holidays. The secret behind the Garden Route is that it combines the fun of a classic bucket-and-spade holiday with unforgettable African adventures. You could go on an elephant-back ride, take a forest canopy tour, bungee jump or visit a monkey or bird sanctuary. Dolphins are often seen offshore - as are whales in season - and for even more wildlife thrills, round off your beach holiday with an authentic Big 5 safari in one of the conveniently close – and also malaria-free – reserves in neighbouring Eastern Cape Province. While outdoor sports and activities take centre stage on a Garden Route holiday (don't forget that several of the country's best golf courses are found here) fine food is always close at hand. 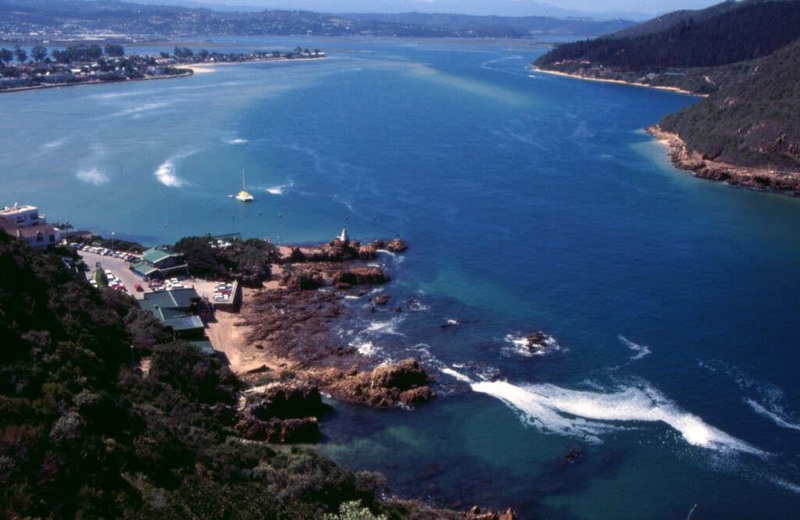 Indulge in fresh-from-the-boat seafood at the ever-popular Knysna Waterfront or at a restaurant overlooking the beach in neighbouring Plettenberg Bay. For more information please contact us. The Cape to Kruger Tour, a tour predominantly designed to cater for those of you seeking a Big 5 experience that is supplemented by a historical and culturally steeped South African experience. Your holiday will end with a visit to the “Mother City” Cape Town, with highlights such as Table Mountain, Robben is-land and a chance to soak in world class scenic views. For more information please contact us. On your arrival at Oliver Tambo international airport you will be welcomed by our friendly professional guide, who will take you to Park Inn, a contemporary, vibrant and modern hotel situated in Johannesburg's up market suburb of Sandton. The day’s activities consist of trips to Apartheid Museum - Experience an audio-visual guide through South Africa’s dark days of apartheid into freedom. Get a taste of the townships in the 70” s and 80”s through film footage, text panels and artifacts are arranged in such a way as to recreate the experience of what it was like to live under apartheid. Lesedi Cultural Village - The guided tour of ethnic Zulu, Basotho, Xhosa, Pedi and Ndebele homesteads at Lesedi Cultural village will give you a firsthand experience of ethnic life and practices. Attend a multi–visual theatre presentation of the history and origin of our people. Join the various ethnic families in the Giant Ingoma Dance (song and dance of all 5 villages) and finish your visit with a succulent Pan African feast at the Nyama Choma restaurant, with mouthwatering delicacies from North, East and South Africa whilst being serenaded by live local music bands. Visit Soweto Infused with the history of the struggle against apartheid and abuzz with the energy of the “city of gold” — South Africa’s largest African suburb will provide you with a fascinating cultural experience. Meet the vibrant local people and visit World Heritage Sites such as Nelson Mandela’s first house in Vilakazi St. A Street where two Nobel Peace Prize winners (including Archbishop Tutu) once resided. Your day will end with a drive in our comfortable vehicles to the world renowned Kruger National Park in the company of our expert guides. Transfer to Kruger National Park. 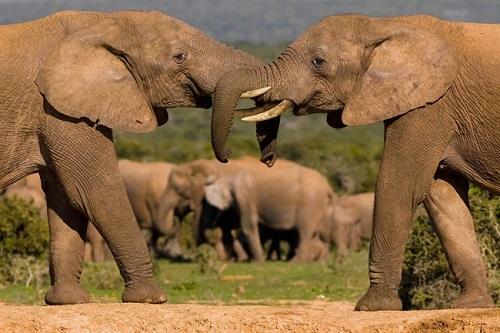 Here at the home of Africa's Big Five: Elephant, Lion, Rhino, Leopard and Buffalo, you will discover unique wildlife on a real safari in Africa. 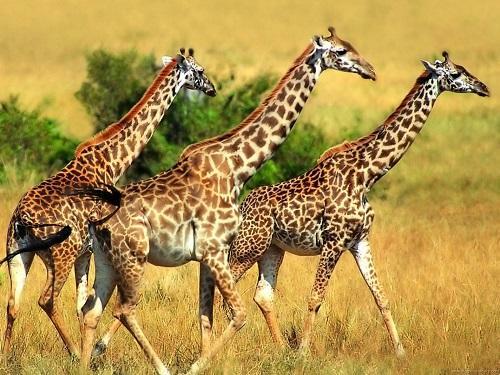 Kruger National Park is unrivalled in the diversity of its life forms, a flagship of South African national parks , Kruger is home to an impressive number of mammals, reptiles birds and indigenous trees . Early in the morning at sunrise you will go on a open vehicle game drive under the watchful eye of our experienced guides, offering exceptional game viewing in prime areas and fantastic photo opportunities. At sunset we arrive at our rest camp for dinner and overnight option of an open vehicle night game drive. Panorama Route – Transfer to Cape Town via Joburg This morning we leave Kruger National Park on our journey back to Johannesburg. We travel along the spectacular Panorama Route. One of the major highlights of the region is the Blyde River Canyon Reserve, home to spectacular wildlife with breathtaking views of formations such as God’s Window and the Three Rondavels. The Blyde River Canyon is the third largest canyon of its kind in the world. Other highlights include the exquisite waterfalls in Graskop and Sabie, the Echo Caves that speak of Africa’s powerful tribes such as Pedi, Mapulane and Swazi. Your tour ends with an evening flight to Cape Town. Shopping-Cape Town Shop till you drop with visits to the Green Market square in central Cape Town, where you can pick up local art, crafts, fabrics and artifacts from almost every country in Africa. Splash out on international and local brands at Canal Walk shopping centre one of the largest shopping malls in Africa and at the V&A waterfront one of South Africa’s most visited destinations, a shopping Mecca set in a working harbor, against the backdrop of Table mountain. The V&A Water Front is also the gateway to Robben Island a former prison for political activists which has since become a museum. Free day Optional Visit Robben island and Table Mountain Weather permitting, we visit Robben island, the infamous island prison that held Nelson Mandela, and several political and human rights reformists which is now a world heritage site. The tour includes a ferry trip, a tour around the island and a tour of the prison guided by former political prisoners. A chance in a life time to glance back into history at the apartheid era. Visit table Mountain a new 7th Wonder of The World, with its unique flat-topped peaks which reach 1086m above sea level. Ride the cableway to its summit whilst you delight in exquisite 360 degree views of the city. Or walk to the top on various routes, the most popular being Platteklip Gorge (about 1-2 km after the cableway) which takes about 1,5 hours if you are moderately fit. Winelands tours As we drive through the wine lands you will have the opportunity to view majestic mountain passes, scenic vineyards, experience excellent Cape Town wine and olive tasting , Learn how different cultivators of wines are processed. Get a chance to shop for award winning wines from the source and enjoy lunch in the finest of restaurants on estates considered to be showpieces of the Cape wine lands. Cape Point tour Experience rugged coastlines and untainted beauty as our tour guide takes you 60km south-west of Cape Town along the shores of the Cape Peninsula to the mythical meeting place of the Atlantic and Indian Oceans (Cape Point). A nature reserve within the Table Mountain National Park and a declared Natural World Heritage Site. The scenic beauty of Cape Point is not its sole allure; it is also an international icon of great historical interest with many a visitor drawn to the area because of its rich maritime history. “The Point” by day was a navigational landmark, whilst by night and in fog it was a menace beset by violent storms and dangerous rocks that over the centuries littered shipwrecks around the coastline. A mere 2 hour drive from the city of Cape Town in Gansbaai, (the great white shark capital of the world) you will experience an adrenalin-surging adventure, Shark Cage Diving & Shark Viewing in a safe and professional environment . 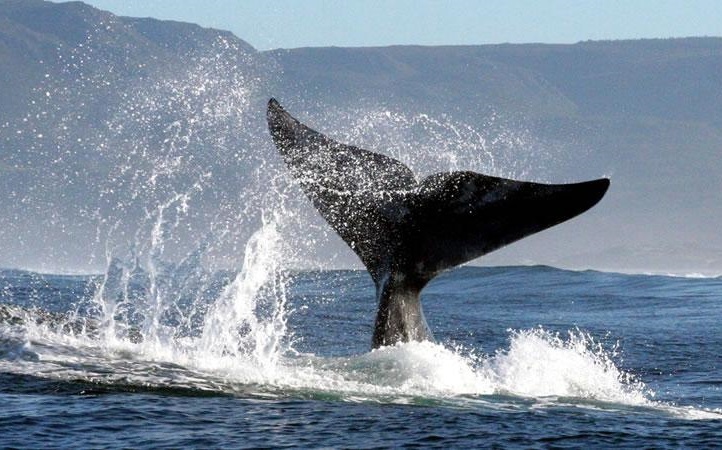 In season you can also enjoy one of the best boat or shore whale watching opportunities. 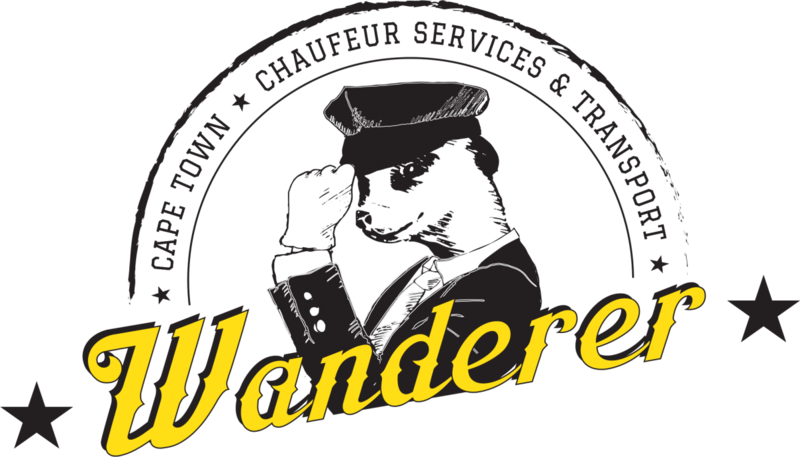 End of tour Your Victory Chauffeur guide transfers you to the Cape Town International Airport.